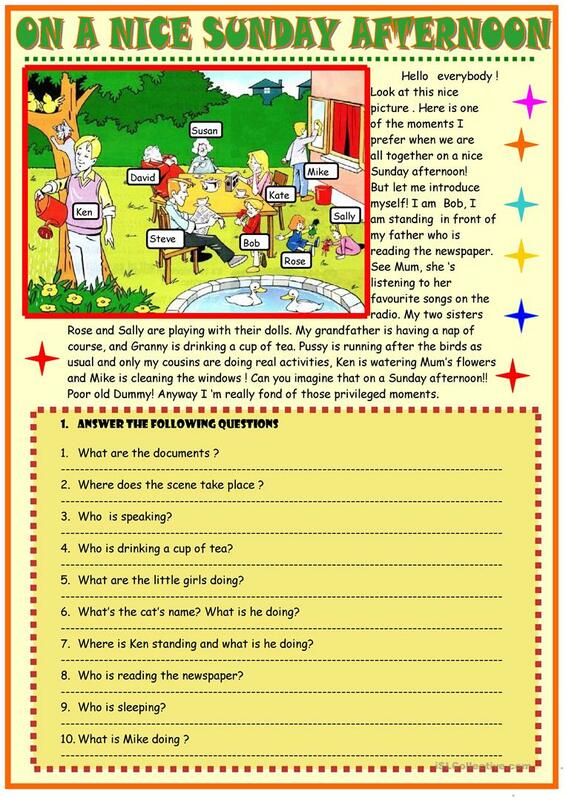 Here is a text about what a family is doing on a nice Sunday afternoon with comprehension activities,and practice of the present continous tense with activity verbs. thanksto "Centerforenglishsed" for letting me use their picture. 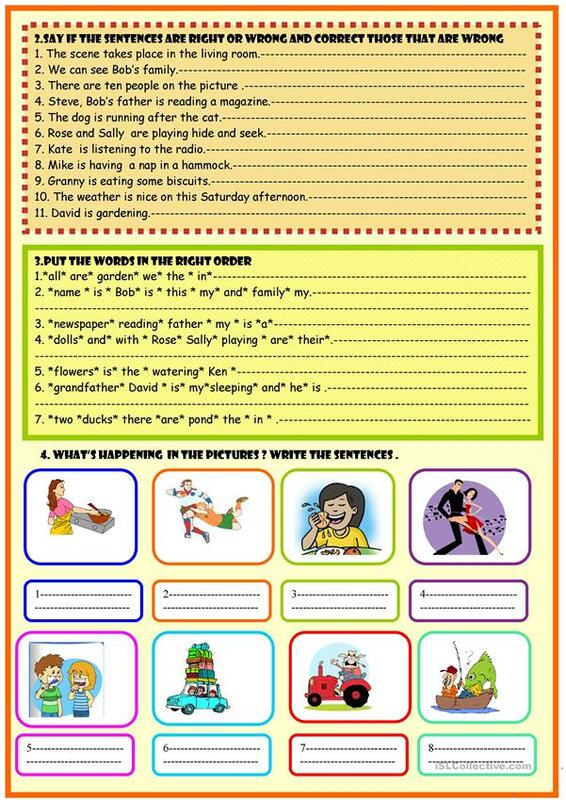 The present downloadable handout is recommended for high school students, elementary school students and students with special educational needs, learning difficulties, e.g. dyslexia at Elementary (A1) and Pre-intermediate (A2) level. It is a useful material for consolidating Present continuous (progressive) tense in English, and was designed for enhancing your groups' Spelling, Speaking, Reading and Writing skills. It focuses on the vocabulary topic of Actions.